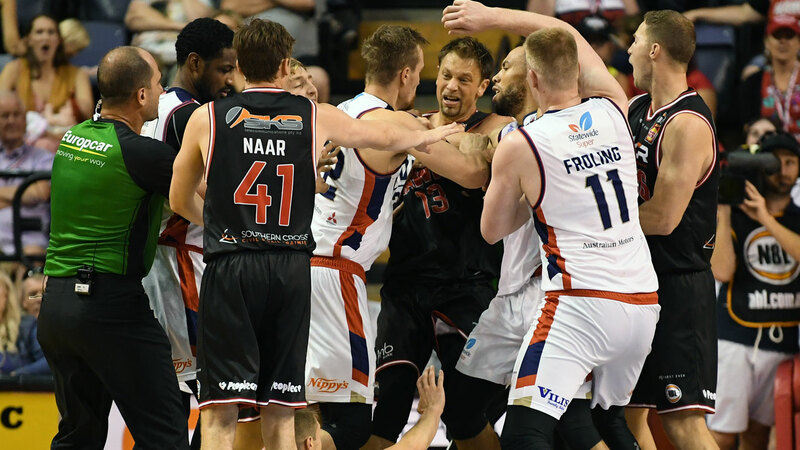 The Illawarra Hawks' have triumphed in a heated NBL clash featuring nine technical fouls and three player ejections, beating the Adelaide 36ers 120-109. A 40-point burst in the second quarter set up the home win - just the fourth for the Hawks this season. The hosts led by as many as 23 points and answered every challenge down the stretch to halt a three-game losing slide. Todd Blanchfield scored a game-high 24 points for the Hawks and American guard Jordair Jett added 18 off the bench. Big man AJ Ogilvy was also instrumental with 19 points and 13 rebounds. Demitrius Conger led Adelaide with 22 against his former team, while Nathan Sobey had 16. 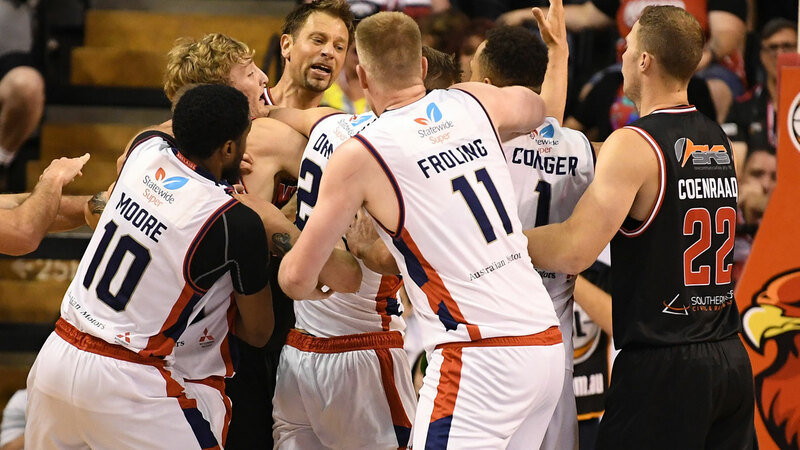 Adelaide import Jacob Wiley was banished from the contest in the first half after copping consecutive technical fouls for his role in a heated exchange with Jett. Illawarra duo David Andersen and Tim Coenraad were ejected for separate incidents in the fourth quarter. The first sign of tension occurred late in the first quarter when Sixers centre Harry Froling tangled with fellow rookie Daniel Grida, prompting players from both sides to enter the fray and referees to view footage. Tempers boiled over again with 6:37 remaining in the first half when Jett and Wiley clashed, resulting in a second melee. Jett was one of three Illawarra players to be issued with a technical foul, while Wiley received his double technical foul and was automatically ejected. Adelaide coach Joey Wright was also called for a technical foul for continuing to debate the rulings. The drama galvanised the home team and they closed the highest-scoring half of the season half with all the momentum to lead 65-53. Illawarra built a 20-point lead in the third quarter before the game erupted again, this time between Sobey and Hawks veteran David Andersen. Sobey was hit with a technical foul, while 37-year-old Andersen was ejected after copping simultaneous unsportsmanlike and technical fouls. The Sixers found new life, trimming the margin to 85-75 at three-quarter time. The last technical foul was called early in the final period, as Coenraad received his marching orders on a flop ruling. Illawarra's record now stands at 4-7 while the 36ers slipped to 5-7 heading into this week's international break.